Like most physicians in Florida, I am very much aware of the difficulties many of my patients experience accessing and affording the health care they need. They need attention not just when they are sick, but they also require routine preventive care. My older female patients, for instance, know they must have a mammogram once a year and a pap smear, at the very least, to ensure their lives are not cut short by a completely preventable or treatable cancer. They want to see their children and grandchildren grow up. I am also aware, and thankful, that there are strong community resources here in Florida promoting access and covering costs for lower income women who need these vital services. Much of this is a legacy from the governorship of Jeb Bush. He was a consistent champion for women’s health, a man who understood that women’s health concerns have traditionally been overlooked and underfunded, and therefore, needed someone looking out for them at the highest levels of government. It was Bush who signed the law creating our state’s Mary Brogan Breast and Cervical Cancer Early Detection Program. The American Cancer Society said this program provided “a treatment option to medically needy women diagnosed with breast and cervical cancer” and said it invested nearly $50 million in funding for screening. Bush made sure that this program was well-funded. Between 2002 and 2006, his last year in office, the program led to screening services for nearly 37,000 women. Governor Bush also supported the creation of the Officer of Women's Health Strategy, a position tasked with seeing to it that women’s health issues receive the attention they require and that research and education on women's health issues are prioritized. Among Bush’s friends and allies are thousands of women from the breast cancer survivor and supporter community. And so he was proud to sign the Bankhead-Coley Cancer Research Program providing $36 million in funding for cancer research, including breast cancer research. He signed into law an act that would create a “Fight Breast Cancer” license plate to fund breast-cancer research. He signed legislation requiring the government to investigate gaps in women’s access to mammography services, so that women would gain the full benefit of this important technology. These days I’m shocked, though I shouldn’t be, that Jeb Bush’s exemplary record on women’s health issues is being distorted for political gain. Because Governor Bush is pro-life, he has drawn the hostility of some who might otherwise applaud his support for women’s health initiatives. Many of these people are now harshly critical of Jeb. Their true goal is not to support women’s health, but to defend abortion on demand and make sure taxpayers finance it. 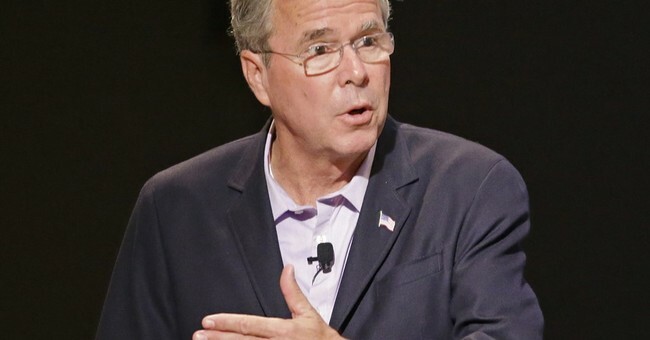 If that’s their goal, they should know: Jeb Bush will not bend. It’s one thing to ask taxpayers to support health services for women in need– that’s something that everyone understands is appropriate and that Governor Bush has helped to bring about. It’s something else, as most Americans understand, to entangle that worthy goal with abortion politics. That’s why he vetoed taxpayer funding of Planned Parenthood in Florida. He knew then – just as he knows now – that forcing taxpayers to fund the country’s largest abortion provider is wrong. Governor Bush proved that we could support the health needs of women while also supporting a culture of life. He supported pregnant women by proposing millions of dollars to support crisis pregnancy centers. It’s true, these centers had a goal of making abortion rare. But isn’t that what we want? Women’s health issues are too critical to be ignored--and they’re too important to be lumped in with the goals and demands of the abortion-on-demand community. Governor Bush understands that, even if his critics don’t. Physicians on the front line of patient care in Florida know that Jeb Bush should be trusted on women’s health. He’s earned it.